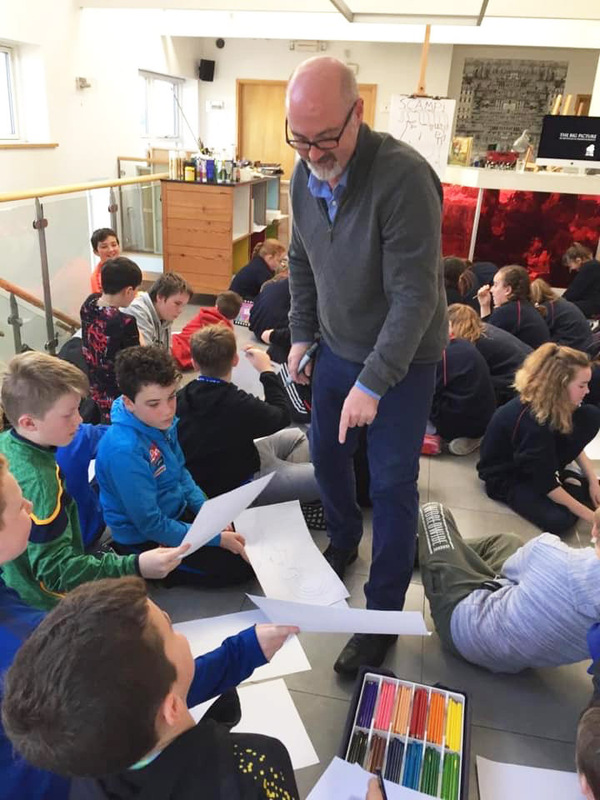 Before leaving Artform after his 4-day oil course ‘From Life’, the renown Irish illustrator of children’s books Pj Lynch gave a workshop to 5th and 6th class of the Dunmore East Light of Christ National School and Killea Boys National School. The girls and boys, the teachers and PJ enjoyed themselves talking about book illustration and learning illustrator’s tricks. Artform proved to be an Art studio capable of welcoming 50+ young people for an art class! Thanks to Pj Lynch and the Dunmore East School Principles and youngsters for accepting our invitation to Artform!